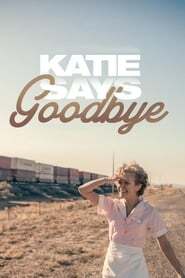 In order to best save the necessary funds to leave her desolate town and start anew, Katie prostitutes herself to a handful of regulars that frequent the diner she waitresses at. As she draws near to saving the funds she believes her new life requires, she encounters a young ex-convict named Bruno. Katie quickly falls in love, much to the dismay of Bruno's coworkers at the local auto body shop. As a relationship with Bruno begins to form, the delicate harmony of their small town slowly begins to fall into disarray.